Israel is considering resuming its contentious practice of assassinating militant leaders in the Hamas-ruled Gaza Strip in an effort to halt intensified rocket attacks on Israel's south, according to defence officials. That Israel might renew a practice that brought it harsh international censure is evidence of the tight spot Prime Minister Benjamin Netanyahu is in. With Israeli elections two months away, rocket barrages from Gaza are disrupting the lives of 1 million residents of southern Israel, pressuring the government to come up with an effective response. In the latest flare-up, Gaza militants have fired more than 100 rockets at Israel in recent days, triggering retaliatory Israeli airstrikes that have killed six people in Gaza. Some Israelis are demanding a harsh military move, perhaps a repeat of Israel's bruising incursion into Gaza four years ago. Others believe Israel should target Hamas leaders, a method it used to kill dozens of militants nearly a decade ago. Critics say they invite retaliation by militants and encourage them to try to assassinate Israeli leaders. Israeli Prime Minister Benjamin Netanyahu on Tuesday visited the southern city of Beesheba, where he told municipal officials that Israel will strike back against the Palestinian attacks. "Whoever believes they can harm the daily lives of the residents of the south and not pay a heavy price is mistaken. I am responsible for choosing the right time to collect the highest price and so it shall be," Netanyahu said. Defence officials, speaking on condition of anonymity to discuss confidential discussions, said the assassination of Hamas leaders is shaping up as the preferred response to the stepped-up rocket fire. They have the backing of two former military chiefs with experience in the matter. Opposition lawmaker Shaul Mofaz served as military chief of staff and defence minister when Israel began a wave of assassinations against Hamas and other militant leaders in the early part of the past decade. He and other former senior defence officials contend these assassinations left the Hamas leadership in disarray and put a halt to the rash of Hamas suicide bombings that killed hundreds of Israelis. "I'm in favour of targeted killings," Mofaz told Army Radio on Monday. "It is a policy that led Hamas to understand, during the suicide bombings, that they would pay the price should [the bombings] continue." Vice-Premier Moshe Yaalon, chief of staff at the time targeted killings surged, is convinced the practice worked. "Clearly over these past 13 years there has been an ongoing war, but there have also been extended periods of calm," Yaalon told Army Radio on Monday. "When I was chief of staff, the targeted killings against Hamas led to extended periods of quiet." Hamas dismissed the threat of targeted killings as "psychological warfare," and its political leaders were not in hiding. The group's military commanders tend to keep a low profile anyway, for fear of Israeli assassination attempts. Hamas' prime minister, Ismail Haniyeh, visited a Gaza hospital on Tuesday and met with Palestinians wounded in the latest fighting. "Threats of assassination and killing do not scare us and will not break our morale or our steadfastness," he told reporters. 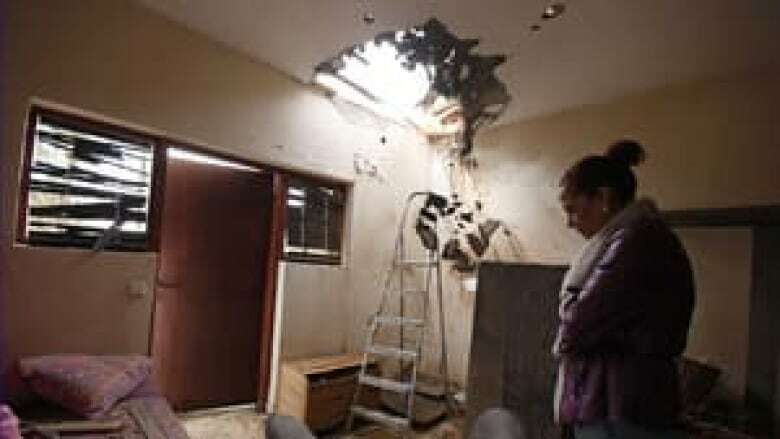 Under Yaalon and Mofaz, Israeli aircraft struck at the commander of Hamas' military wing, Salah Shehadeh, the movement's spiritual leader, Sheik Ahmed Yassin, his successor, Abdel Aziz Rantisi, and dozens of other senior Hamas military commanders. Militants retaliated for some of the targeted attacks but eventually replaced the suicide bombings with years of rocket fire that still sends Israeli civilians running for shelters. Backlash from rights groups and governments was harsh, especially after Shehadeh was killed in a bombing along with 14 other people, most of them children. The policy of targeted killings, said Israeli opposition lawmaker Zehava Galon, "didn't prove itself. We killed, and there were more attacks." What Israel should do is reach a long-term truce agreement with Hamas with the help of Egypt, said Galon, of the dovish Meretz party. Egypt is now governed by the Muslim Brotherhood, Hamas' parent movement. Israel quelled much of the rocket fire with a devastating, three-week war in Gaza in early 2009, but Hamas and other militant groups in the seaside strip have been stocking their arsenals with more and better weapons. In recent months, they've been emboldened to escalate their barrages. Since Saturday, more than 110 rockets and mortars have struck southern Israel, according to the military's count. Netanyahu on Monday told foreign ambassadors during a visit to Ashkelon, a southern city that has been battered by Gaza rockets, that Israel would defend itself. "I don't know of any of your governments who could accept such a thing. I don't know of any of the citizens of your cities, who could find that acceptable and something that could proceed on a normal basis," Netanyahu said. "We'll take whatever action is necessary to put a stop to this. This is not merely our right, it's also our duty." 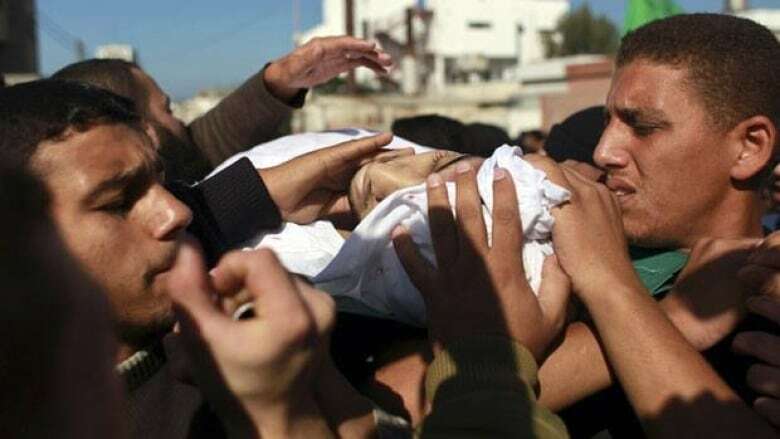 The latest Israeli airstrikes have killed six Palestinians, including four civilians, but the rocket attacks persist. Mediation efforts by the United Nations and Egypt have been unsuccessful so far. Some defence officials believe Hamas will not be so easily subdued as before. Militants who once relied on crude rockets they manufactured themselves can draw now on sophisticated rockets and missiles smuggled in from Iran, Libya and other Mideast countries.